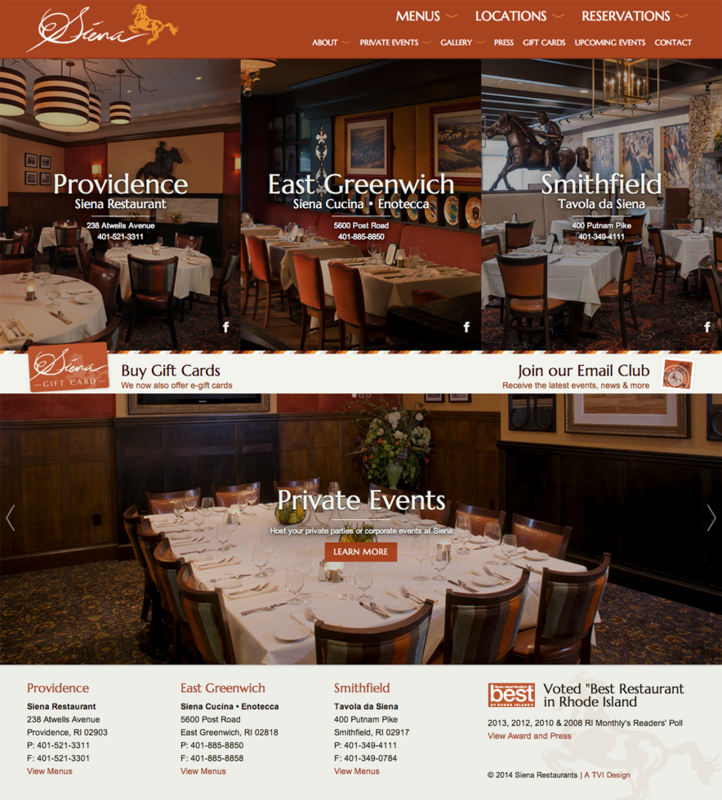 Siena is a Rhode Island based restaurant with three award winning locations. They approached TVI for a website redesign that would equally promote their three locations and be easily scalable if they open more restaurants while also advancing the branding and aesthetics already established. Additionally they needed a site that would function well across all devices.